Sandstone Cellars IV and Introducing Visual Tasting | Texas Wine Geek™ - Drive. Taste. Talk. Write. We haven’t been able to travel much lately, but with the cellar set up and my wine collection on a roll, I think it’s time to review many of the incredible varieties and blends that we have acquired on our past winery visits. One of my favorite weekend trips was spent with Don Pullum visiting wineries in Mason, Pontotoc, and Junction; and savoring the many wines that he has crafted for them, so tonight I decided to open a bottle of Sandstone Cellars 2006 “IV”, a Port-style blend of Touriga,Tempranillo, Barbera, and Viognier.There is a little story behind this because I have this very distinct memories of tasting a very nice “Port” at the winery and I was sure that I would have purchased such a fine beverage unless it was a barrel sample; however, I was certain that it wasn’t. Nevertheless, none of the bottles of wine that we brought home had any reference to “Port” or “sweet” or any other term that would make me think that it was the exceptional “port” I had sampled in Mason, so I had come to believe that somehow I missed it when we ordered and purchased the bottles to take home. When I reached for the 2006 “IV” on the shelf, I noticed that the top of the bottle had a wax coating very much like some of the other Ports and Port-style wines in my collection, so I realized that the IV might be the one I had remembered. A quick smell of the cork confirmed my suspicion. Here is where my article gets even more different than ever as I embark on a new experiment. If you have ever been with me on a wine tasting, you may have noticed that I relate wine aromas and flavors more to colors than to other flavors. I only recently learned that this is a real condition classified under the general term “synesthesia” – my senses are somewhat cross-wired, and I tend to taste in colors. Of course I thought this was normal most of my life, but the first time I told Julie that something tasted green and got this puzzled look, I realized that not everyone did this. I have a particularly hard time with wine tasting notes when I try to follow the “standard” model: make notes about the color, then the nose, then the flavor – with side notes about sweetness, acid, and tannin structures, then the finish. Although I understand the process and sequence, all of these flow together for me in a rush of colors, and it’s particularly hard for me to pick out individual aroma or flavor components without some assistance from Julie. That’s why I will never pass a Sommelier exam, I’m sure. What IS odd, though, is sometimes I will pick out a particular characteristic in a wine that no one around me senses until I point it out. The banana in Duchman’s Trebbiano is an example, and the Caramel (burned brown sugar, not the candy) in a wine I can’t remember right now. This is Sandstone Cellars’ IV as I taste it. The painting is a time sequence and profile of Don’s creation from nose to finish, so you interpret it from left to right. It starts off sweet and very creamy – much like a creme brulee – then picks up the darker, spicier tones of the Touriga, and finishes with that complexity. I showed Julie the drawing last night without telling her any of the colors’ meanings, and she was able to describe the flavors pretty accurately – she had not participated in the prior night’s tasting – so I decided to share this with you. I am not a big fan of a wine rating system based on numbers since the qualities of a wine that the reviewer rates highly may not match my palate, and although the standard reviewing descriptors are better than ratings, there are still things that get missed. Is a color map any better? I don’t know, but it gives me something to do and gives you something to critique, criticize, or enjoy. I’m still developing my palate – and my palette – so perhaps these will get better. This entry was posted in Review, Texas, vineyard, Visual Tasting, Wine, winery and tagged Sandstone Cellars, Touriga, TXWine, wine, winery by JCBaker. Bookmark the permalink. Interesting that you should say that… before I noticed your comment, I had already posted the article about Alamosa Cellars’ Texacaia, in which I have TWO drawings: One for the initial opening, and one for the second day. I agree wholeheartedly that there needs to be a way to convey the evolution of the wine as it is poured over time. One approach that I did think about and would work well with your idea is to split the canvas visually (although not necessarily *apparent* to the viewer) where the nose is conveyed at the top, flavor in the middle, and residual sugar, acid, tannin toward the bottom. With this approach it would be easier to demonstrate the change in structure over a continuous time period. For separate tastings, I would use separate canvases. Why not? Wine tasting, wine criticism, wine notes — at their best, they provide an impression. Your visual tool is actual Wine Impressionism. Perhaps even a signature at the bottom conveys the finish. Abbreviated, long, with a flourish. Like that. All of these would seem to offer a different visual cue. Art is art, it’s not science, and interpretation of art can be every bit as engaging and challenging as wine tasting. I Like it, and I can relate to that. I used to hear classical music in color, and our youngest daughter, Bodil [1970-1989]saw B&W TV in accurate color and heard sounds — doorbell, etc. in color. i have heard that many people who have “perfect pitch” are synesthetic, seeing the tones with each one having a distinct color. Art and wine are a magical pair. Creating art as a descriptor for wine is brilliant. Thanks very much. “The inspiration for “painting” the tasting came largely from the Sandstone Cellars IV itself. The label of the bottle has a painting by Bill Worrell, and the flavors were too lush – yet startlingly complex – for me to find words to accurately describe. 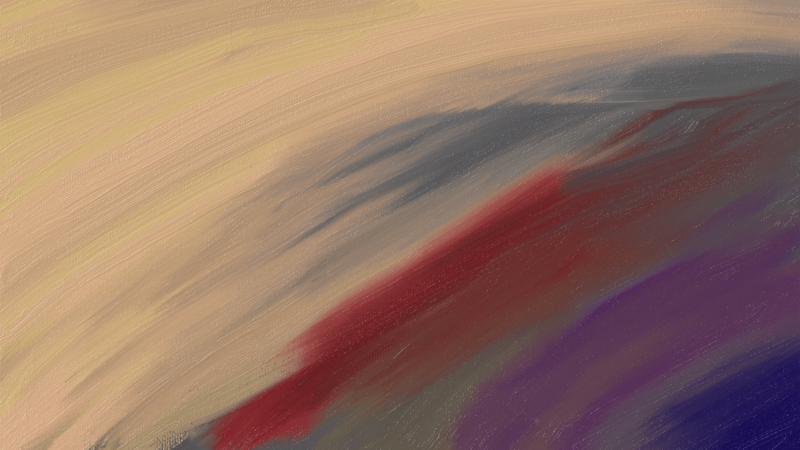 I was left with color, so with stylus in hand and Fresh Paint on the tablet, I started my experiment. “I didn’t expect that anyone would “get it” – especially those who don’t taste colors, because the colors that I taste aren’t always the color of the berry, fruit, etc. that is closest in flavor. Surprisingly, though, many are, or are pretty close. NOTE: Apples don’t taste red, but grass most certainly does taste green.